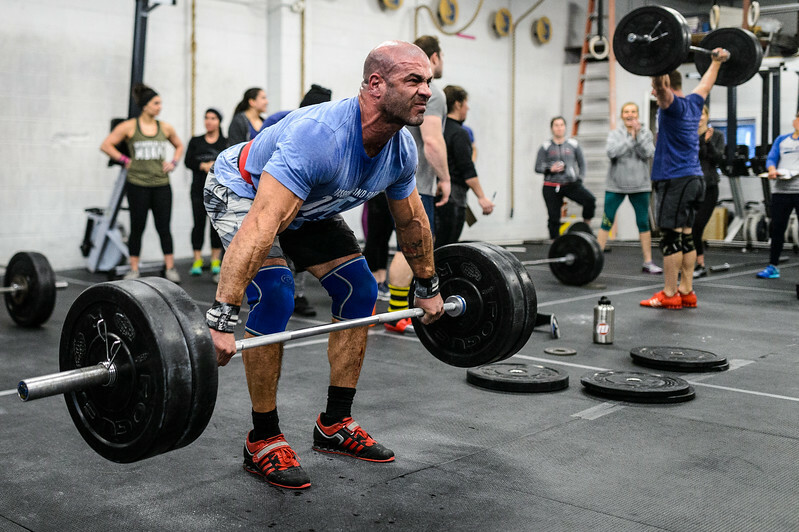 It has been a few weeks since Greg Tricola (45-59) and Hank Berger (60+) competed in the CrossFit Games Masters Online Qualifier. We would like to congratulate both men on their hard work throughout the Open and the Online Qualifiers. They are impressive athletes and are looked upto by many in our CrossFit Island Park commmunity. Hank finished 44th in the world in his age group. Greg finished 22nd in the world in his. Thank you to both Greg and Hank for their constant pursuit of excellence in the gym. We enjoy watching you compete!! If you havent noticed, we have a nice new addition to our workout space. Thanks to Pat Mullaney for his time and skill to put up the outdoor rig. It will get A LOT of use in the warm weather. SIGN UP FOR MURPH at the front desk. There is also a sign up sheet for food/drink to bring. There is no weightlifting class for the next four weeks. *Start over for the second set, TRY TO BEAT IT!! continue until you fail to complete the full amount of reps in the minute. Strength component: chin over bar pull-ups, c2b pull-ups with focus on elbows back, hips to bar with slight arm bend. - Most people will experience a breakdown at hips to bar. Drill 1: hips to bar on low bar and feet against box. Goal is to "float"
Drill 2: using floating action as transition on top of bar. Once chest and head are above bar do fast sit-up. Bar muscle up attempts + strict pull-up + 1/2 turn to right mixed grip pull-up strict pull-up + 1/2 turn to left mixed grip pull-up. 400m run together with a plate.